Over 2 billion people worldwide living in remote or isolated village, have no access to basic healthcare. The poorest of the poor lack quality medicines, health products, and education. The distance to products and services makes them particularly vulnerable. Due to a lack of knowledge, people are unable to make well-informed decisions about their own health and that of their children. They frequently depend on the local black market for expensive medicines, which are often counterfeit. 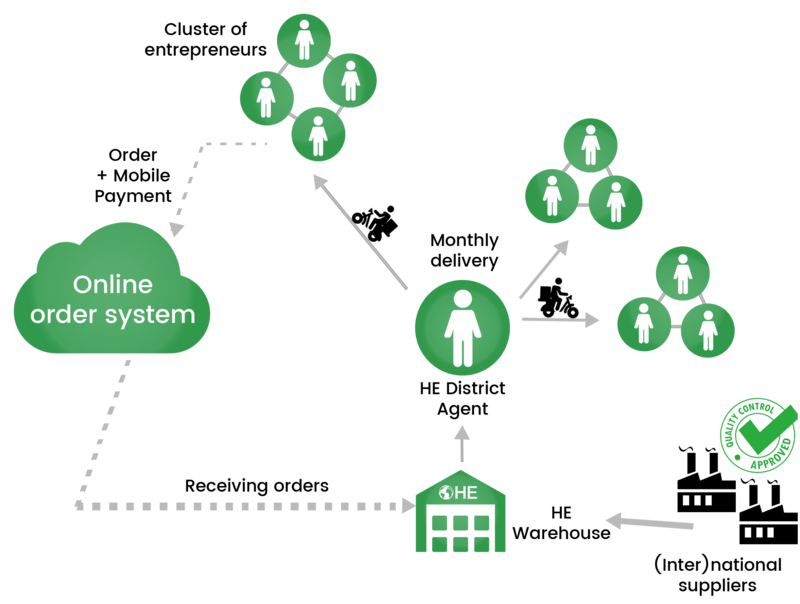 The last-mile distribution model enables Healthy Entrepreneurs to unlock remote communities with access to basis healthcare. Healthy Entrepreneurs proves that medical care in remote areas is possible and we have made it cheaper, more effective and more sustainable. “In some places in the world, human tragedies are everyday occurrences. Take for example the remote village in Burundi I visited a few years ago. Even in the 21st century, people in this village had no clean drinking water or electricity. Their children had to walk an hour each day to reach the nearest school. Girls were getting pregnant much too young and children and women were getting sick and even dying from easily preventable diseases. Visiting this village changed my life. I was outraged that these people, and so many others in the world, were facing unnecessary threats due to a lack of knowledge and access to even the most basic health care while all over the world, the knowledge and means were readily available! That’s when I decided to start Healthy Entrepreneurs. Everyone has the right to good health care, no matter where they are born. Not only that, people who grow up healthy have the opportunity to develop both themselves and their community. Especially in the most neglected areas, gaining access to health care is key to development and self-reliance. The key to success is in the hands of the people and we believe in giving them the chance to stand on their own two feet. We offer men and women the chance to be trained as Healthy Entrepreneurs and to become independent health care providers for their own communities. Using our franchise-based approach, we spark a positive movement where children and adults can help develop strong, healthy, sustainable communities. As for the people in that Burundian village? They’re doing much better these days. A passionate entrepreneur has been working there for four years now. She offers health education and advice to her fellow villagers and sells all kinds of medicines and health care products from her mini-pharmacy, offering her friends and neighbours a good life and a healthy future. The vision of Healthy Entrepreneurs is basic healthcare for all. Access to basic health in the most remote areas is an important key for development and self-reliance. To our opinion, the key of success is self empowerment, enabling people to overcome their own challenges. Our mission is to train men and women to become Healthy Entrepreneurs or independent health workers. Via the network of entrepreneurs a large set of affordable health products and services, that have been proven effective, are delivered to the last mile. The goal of Healthy Entrepreneurs is mobilizing entrepreneurs with innovative and practical solutions corresponding to the demands of families living in remote, isolated communities. Healthy Entrepreneurs identifies potential entrepreneurs with basic knowledge of health care, a secondary school diploma and preferably women. During their training, they learn about basic health the set of health products and entrepreneurial skills needed to establish their own mini-pharmacies. 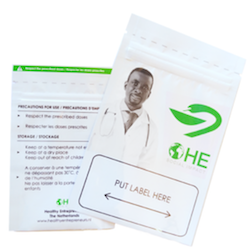 Each entrepreneur invests $40 USD and receives a starter kit with basic medical products worth $70 USD on credit. The entrepreneurs pays back the initial credit within one year. The entrepreneur also receives a solar-powered tablet. 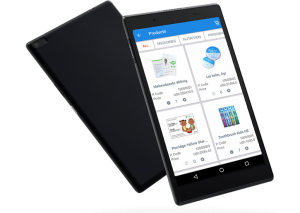 This tablet is used for educating clients, promoting new products and ordering new stock. The Healthy Entrepreneurs team can also use the tablet to monitor the entrepreneurs’ activity. 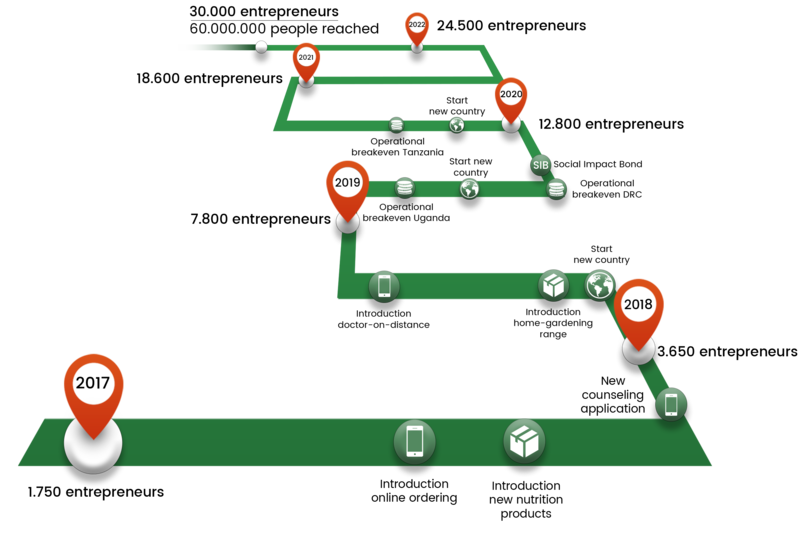 One thing that sets the Healthy Entrepreneurs model apart is the management of our own end-to-end distribution chains. We buy reliable products as cheaply as possible and deliver them directly to the entrepreneurs on site via a local depot. Are you wondering why each entrepreneurs receives a starter kit with basic health products and a tablet? Because in order to change the system the access to basic health products should be complemented with health education and counselling in their own language. Health products include both basic preventive and curative medicines. 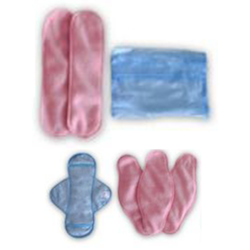 The assortment of products is in line with both the national ministry of health and international guidelines. The most sold products are paracetamol, ORS, zinc, maternal vitamines and malaria treatments. Nutrition is an important aspect particularly for pregnant women and young children to protect them against diseases. 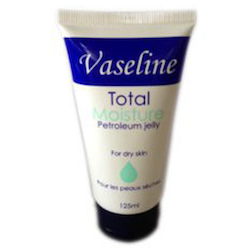 The product range includes both curative and preventive items. Additionally, different solutions are offered to provide clean drink water. Infections are prevented by medicines and products related to hygiene. For example, with the use of sanitary pads girls are able to attend school on a more frequent basis. The availability of anti-conception products and advice generates an increase in HIV/Aids awareness and a decline of infected people. With a wide spectrum of care-products families are able to improve their well-being, including mosquito repellent, skin cream, children’s toothpaste and diaper cream for babies. 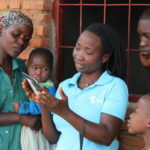 The tablet provides approximately 125 counceling movies about basic health care, including subjects as nutrition hygiene, child mortality, pregnancy and common diseases. Digital questionnaires identify symptoms and provide advice on 25 common diseases, for example child fever, the choice of anti-conception product and HIV-related information. 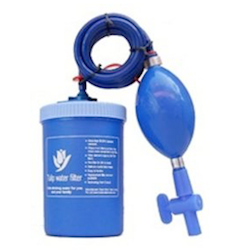 Promotion of impact products for which the market entry in isolated areas is difficult, such as water filters and specific nutrition products. The online ordering system, mobile phone payment system (using telephone credit), automatization and standard procedures ensure that all entrepreneurs receive their product orders within five days. The power of the model is the ‘impact multiplier’ through profit generation. The one-time investment in the startup cost of new entrepreneurs guarantees basic healthcare in remote areas and an income for the entrepreneurs for years. Our headquarters in Utrecht, the Netherlands, supports operations in our local offices in Uganda, Tanzania, Kenya and Ghana. Our goals may be ambitious, but they are also attainable. By 2022, we aim to have 30,000 entrepreneurs in action, delivering health-related products to more than 60 million people in eight countries. With a network of at least 1,000 entrepreneurs per country, we strive for self-sustaining logistic operations. To reach its goals, Healthy Entrepreneurs prefers to work with organisations that represent existing networks of potential entrepreneurs. This way, we can keep the costs of selecting and training entrepreneurs low and expand the existing systems. We are continuously improving our set of impact products and services. We are constantly on the lookout for products that offer the best value for money. New items are being added to our assortment continuously, including innovative impact products that usually hardly find their way to the remote areas. In 2017, we’re focusing primarily on nutrition products for young children and the prevention and treatment of diarrhoea. Technology is key to reaching remote areas. Not only does it allow our entrepreneurs to give sound advice to their clients, it also facilitates ordering, payments and delivery. In 2017 and 2018, we help with our entrepreneurs and their clients to improve their existing applications. In addition, we are investigating possibilities for doctors to give advice from a distance and a new way for our entrepreneurs to continue developing their skills through regularly sharing new knowledge. Healthy Entrepreneurs is a young, dynamic organisation with a clear vision: basic healthcare for families in remote communities in developing countries. Over the last five years, we have developed the necessary experience and expertise to achieve our ambitions for growth. We continuously strive to improve our concept and the supply offered by our entrepreneurs. Healthy Entrepreneurs is a foundation with ANBI status, responsible for the financial aspects of setting up new entrepreneurs in various countries. Field operation teams focus on expanding the network of entrepreneurs, in which they are supported by the Dutch headquarters that provides knowledge and expertise. Healthy Entrepreneurs is a social enterprise that consists of a foundation and limited (BV), registered in the Netherlands. In all countries where entrepreneurs operate there are registered entities. These country offices are responsible for the identification, selection and training of new entrepreneurs and the deliveries of products ordered. 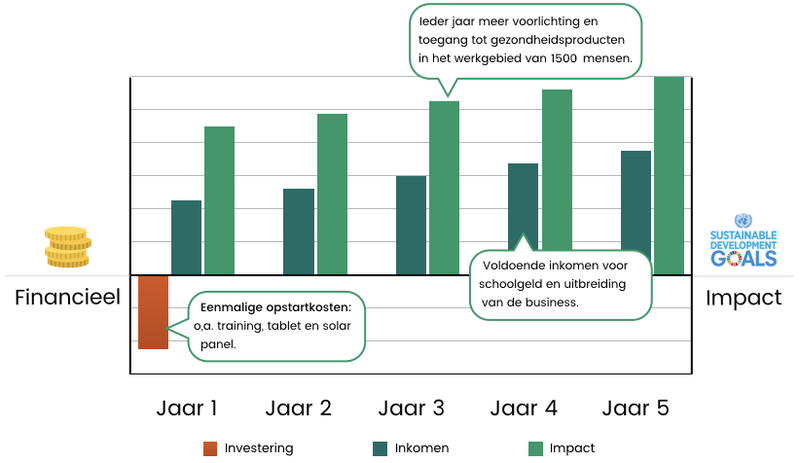 The foundation in the Netherlands is responsible for programme management, fundraising, and investing donations in new entrepreneurs. The limited handles the purchase of goods, operational management, IT services, product innovation, reporting, and business management. The business supports the country offices by expanding their network of entrepreneurs. The money flow is managed according to a written agreement between the entities. This arrangement allows us to extract all profit from the business and invest it into the foundation for new entrepreneurs. The Dutch foundation has the ANBI registration.